Just Romantic Suspense: JRS HOLIDAY GIVEAWAY! Congratulations to our Grand Prize winner, "Mary P" and our runners-up, "Ellen M." and "Claire H"! 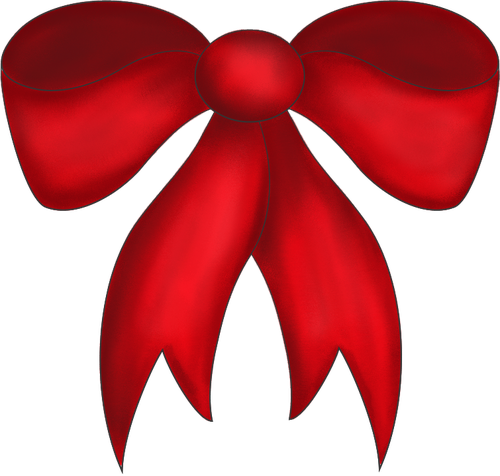 Thank you again to everyone for their participation in the JUST ROMANTIC SUSPENSE Holiday Giveaway! 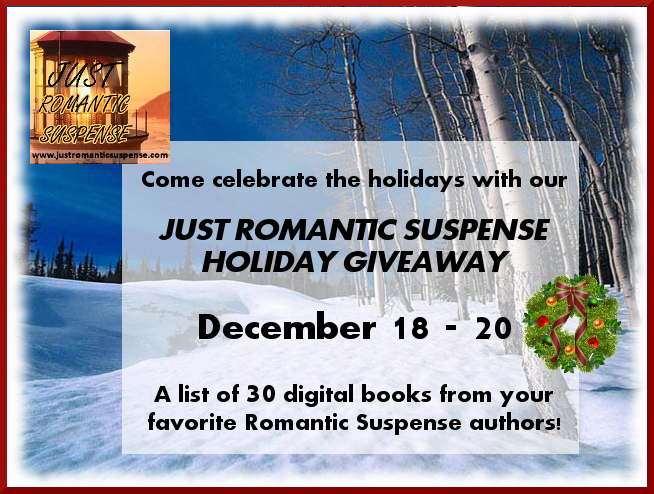 With the spirit of giving in the air, 30 Romantic Suspense authors have pitched in with their digital books to make 3 lucky winners' holiday season an extra special one! On December 21st, one grand prize winner will be able to select 10 titles of their choice from the list. Stop by and leave your favorite authors some holiday wishes, or share with us your holiday traditions! Giveaway ends 11:59pm EST Dec. 20th. Please supply your email in the post. You may use spaces or full text for security. (ex. jsmith at gmail dot com) If you do not wish to supply your email, or have trouble posting, please email maureen@justromanticsuspense.com with a subject title of JRS HOLIDAY GIVEAWAY to be entered. This digital giveaway is for Kindle and Nook formats only. Such an esteemed group of authors. I'd be thrilled to with any one of their books. Merry Christmas from Down Under. Wishing you all the love and joy of the season. This is great!!!! Something to look forward to. Merry Christmas to all! I have read many of these authors and look forward to reading some of the unfamiliar ones! Thank you for the giveaway! Thank you for such a generous contest! I have read a number of the books but would love to add new authors and books to my ever growing list. Wishing everyone peace as the end of another year draws near. Happy Holidays to one and all. This is a truly great giveaway. Thanks to all. Merry Christmas. May these Holidays bring peace and joy in your hearts and in your homes. Merry Christmas and Happy New Year! Waving at Melissa Cutler..... Happy holidays, babe! Thanks Melissa for letting me know about this! Books for Christmas...how lovely! Merry Christmas to all and God Bless Us Everyone. Wow, what a prize. I want to win. What a Merry Christmas present this would be. Lots of great authors. Love Melissa Cutler, Joan Swan, and Barbara Feethy. Thanks for the chance to win. What an awesome prize! Thanks so much for the opportunity. What a great lineup. I would love to win a book. Thanks. Thanks for the giveaway. I'm new to romantic suspense books... I'm finding that I REALLY like them. Some of the authors I've heard of and some I haven't. I look forward to reading the books next year. What a great line up of authors and books! Awesome giveaway. Merry Christmas everyone!! Hope it's a great holiday for all. So many new authors to check out, love it!! This is an awesome giveaway. Happy Holiday! What a wonderful giveaway! There are some of my favorite authors as well as some new-to-me authors on this list. As there only three adults in the family, the only traditions we have relate to food - Shrimp Muffins for breakfast and fajitas for dinner. Hope everyone has a very Merry Christmas!! Love this =) Happy Holidays everyone! Happy Holidays. One of my favorite traditions is opening our presents at midnight instead of Christmas morning. 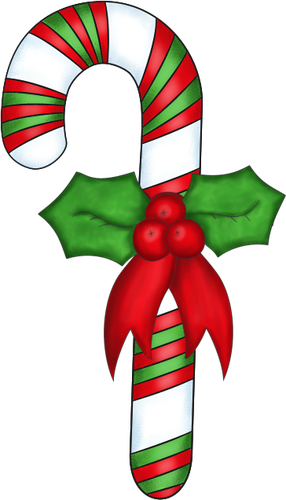 Merry Christmas everyone.... What a wonderful list of Authors, but I think you forgot one...V.R Marks, his romantic suspense series, RC Investigations is AWESOME!!! Living in Alaska, our family has started a new tradition, we have a Sea Food feast for our Christmas dinner!! What an amazing giveaway/Christmas gift! Awesome array of authors. Wishing everyone a wonderful, joyous and safe holiday season. Our favorite tradition is hiding something special in our stocking. Amazing Giveaway opportunity. Thank you for the chance . Super excited about this opportunity! Much love to Joan Swan, Kaylea Cross and Misty Evans for some of the best books that I have read in years! Keep those alpha males coming! Really, can there ever be too many? My favorite holiday tradition? Downtime for reading! Happy Holidays everyone! A Happy Holliday Season to your JustRomanticSuspense & to all the generous authors. I have been enjoying you all year round! Traditions this year will be a little differnt since my two oldest are working. But I will be cooking gumbo Christmas Eve with the two younger girls. We will be making desserts and of course baking cookies for Santa. I must come up with some NEW traditions for this year since most of them involved my mother who is no longer with us. But I still hope to do special Xmas crafts with them. I love turning on the tree lights & sitting by the fire! Thanks for the giveaways, and happy holidays to all the authors on here. I have discovered so many new and great reads! provided me with so many hours of enjoyment! Merry Christmas everyone and thanks for the awesome giveaway! Having a very quiet Christmas this year. My mom fell and has a skull fracture so we decided to keep things simple and quiet for her. But that's ok b/c it's all about being thankful she wasn't more seriously hurt and seeing my brother who lives out of town. This is a wonderful Christmas giveaway. Merry Christmas and a Happy New Year to everyone. Looking forward to all those new books and stories next year. Thank you to all authors that are so generous and wishing everyone a very Happy Holiday season. Thank you to JRS and all the authors for such a great giveaway! I hope everyone has a wonderful holiday season. Merry Christmas! This will keep readers busy. Wonderful giveaway for the addicted reader. Such a wonderful list of authors! I have read several and some are new to me. I am writing them all down to future reference. 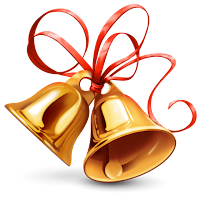 A wonderful Christmas list of authors! I would love to be one of the lucky winners. This would be a wonderful christmas gift. I hope I am lucky enough to win. An incredible line up thank you. I usually spend Christmas day with my family ...hubby, sons, daughter in law, brothers, sister in law, sister, mother and super special granddaughter. Our tradition is mainly eating great food and playing trivial pursuit. This year I'll be spending most of the day at work tomorrow It isn't a bad thing though. I'll be with adults with developmental disabilities that have no family. So I am betting it is still going to be a great day! Merry Christmas... May whatever Holiday you celebrate be wonderful. Happy Holidays, everyone! Who could resist this giveaway? Merry Christmas to all. All my children are grown and gone so this year its just me and my husband. But thats ok, when they call it will be Christmas all over again. Happy Holidays to all the great authors and to all the readers who enjoy all the great books!! I have been reading for years and love both the suspense, as well as, the romance. Merry Christmas! SOOOO many books to chose from I wouldn't know where to start! Thanks for the giveaway and Merry Christmas! THANK YOU!!! I have replied to your email. What a great list of books by so many wonderful authors. Thanks for having this contest. Happy Holidays. Someone will have a great Christmas! !